I think I have been to an Easter Service nearly every year of my life. I remember a few quite well for various reasons, but Sunday’s Easter Service here in Phnom Penh will be one I will remember for a long time. Some of the most memorable services for me include one sunrise service in the far north of the Philippines in a place called Tuguegarao. I was supposed to give one of my first solos as part of a choir ministry team. I had worked on and prepared “The Lord’s Prayer”. The beautiful rendition of the Prayer of Christ has a large range from low bases to high tenors. I have a high singing voice and when I woke up before dawn for my big “solo” appearance my voice failed me in the low ranges. I was mortified. Lacking the confidence I have today I backed out and one of my friends took over my solo song. At the conclusion to the song the sun came up on the horizon silhouetted by three crosses. It was amazing. Another clear memory for me was my first Easter service in Abilene, Texas when I moved from the Philippines to the US. On Easter Sunday in 1991 I arrived at my church excited to celebrate the resurrection of Jesus. When I got to the parking lot I knew there was a big problem. I didn’t recognize my church and the people there. Everyone was wearing fancy clothes, women were in big hats and every man in sight was in a sharp suit. I was dressed in my normal Sunday clothes, some pants, worn down shoes and a long-sleeve shirt (which was probably 3-4 years old!) I was too embarrassed to enter my church. I drove back to my dorm room dejected. In 1992 I was determined to not repeat the same mistake! I couldn’t afford a whole new outfit, but at the mall (or a Goodwill center) I found an almost new green sweater. I reasoned that I could wear an old tie under the sweater just peaking out and I could pull off a “new outfit” look for Easter. I also found a new pair of shoes which looked like leather, but were actually plastic, including a plastic sole. (I know it’s pitiful, I feel pitiful just writing it!) I was confident as I drove to church. Only two blocks from my church I was filled with excitement for the day then I saw it: A vehicle broken down in the middle of the road. I tried to look the other way, but as I drove by I saw that the driver was a very old man who was bewildered as to what to do. There was no way I could leave a old man in the middle of the road and pull into a church, so I pulled back around to help him. I got out of my car and asked if I could help him. He was in a giant 1970’s era monster green car! He nervously asked me if I could help push him to the side of the road. Being a tough and strong guy playing soccer for the local university I never doubted my strength. I walked behind the car and started to push. Oh, you can guess what happened next. It has rained a little that morning and so the road was slick. My plastic soled shoes slipped like I was walking on ice. I landed face down on the pavement as I pushed on the car. It didn’t hurt, but instantly I saw my new green sweater was now brown with mud. I was mortified. Eventually I pushed the car off the road and drove the man to his house. I attended the service, but never forgot my humiliation as I pulled into the church parking lot. I don’t remember many Easter Services in Cambodia. Unfortunately, churches don’t celebrate Easter much. It’s sad as it is the central most important theme of our entire faith! As I have some influence in the leadership of our church I pre-empted Easter a month ago with a call to a church wide celebration. I myself observed Lent for the first time in my life. Daily I read through the passion of Christ on my journey to Easter. Our Easter Service was to be different. We arrived at the church about 6:00am. No one felt they could make it pre-dawn, so we decided for an early service. The service did not start as normal. 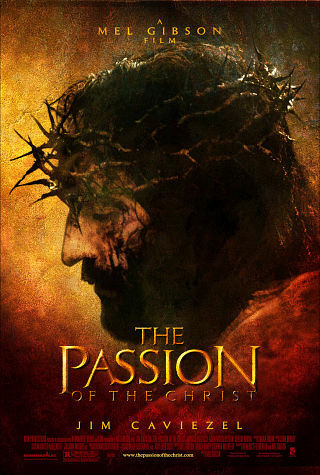 We showed the Passion of Christ movie by Mel Gibson. Everyone watched, including the kids. The parents all unanimously wanted their children to watch. I covered my two little children’s eyes a few times, but they sat on my lap the whole movie. Our version we dubbed into Khmer instead of just using the Aramaic with English subtitles that the original is in. Two hours after the viewing of the movie, most of the church was in tears. The suffering of Christ was real to them at that moment. Immediately after the movie I led the church in Lord’s Supper using few words and a heavy heart to express what Christ meant to us on that day. I think that will be a Communion service I will never forget either. God was really working on people’s hearts. There was not a dry eye in the whole church, including the children. We followed Communion with worship and praise. It was uplifting as we rejoiced in the resurrection of Christ. It didn’t seem that long, but we didn’t leave the church until after one o’clock in the afternoon after we had an all church picnic. Easter is so important in our lives. Because Jesus suffered and died, we can have forgiveness of sins. Because he rose from the grave, we can live for eternity with him! Jesus alone conquered death and satan on that first Easter Sunday. Jesus, the risen Lord, stirred the hearts of every person in our little church on Sunday. Everyone was grateful for the sacrifice of our Lord. Now, a day later, my heart is still full with the love that I felt renewed on Easter Sunday here in Cambodia. It is an Easter I will probably never forget. The only Easter service that was more memorable than this one was when my wife and I observed Easter on a cold day in Israel at the empty tomb of Jesus in Jerusalem thirteen years ago on a honeymoon. He is risen indeed!